At Rancho Santiago, along with my 50 hour work schedule, I was enrolled in the Honors Program and maintained a 3.6 GPA throughout my studies in Nursing. My hard work was awarded with graduating with honors, with an Associate of Science in Nursing. Surgical Technologist provides services for medical practitioners providing surgical care to patients. Expertise in theory and human anatomy, as well as the tools and technologies found in the operating room, to facilitate a physician's performance of invasive, therapeutic and diagnostic procedures is the main role for Surgical Techs. The 13 years spent in the operating room provided me with valuable experience and helped with the pursuit for becoming a Registered Nurse. ~Responsible for the management and daily operations for A.C.E.S. ~Supervised staff and directed as required for the needs of the unit. ~Responsible for writing 5150's for clients meeting criteria. ~Participated in treatment teams for the development of individual care plans. Worked for a short period at INDIO NURSING REHAB prior to being offered the full-time position on OCS at Oasis in Indio. ~ACLS certified for management of cardiac patients in acute care setting. ~Fine tuning of bed side nursing skills and standards of practices for nursing. ~Frequently called to other units to insert difficult IVs. ~Attended all codes, and provided support as needed. Evaluates or assists in evaluating the performance of subordinate personnel; assists in the scheduling of personnel and approving their time cards; assists in the coordination of in-service educational programs and staff meetings; assists preceptors in developing unit orientation programs for new nurses or program staff. Responsible for writing 5150's for clients who meet the criteria, and protecting the rights of patients who are placed on holds. From 2000-2003 I worked at Eisenhower Medical Center. As a new grad, I seemed to have fallen through the gaps, floating from the ER, TELE, ORTHO and MED SURG, until finding a home on ONCOLOGY. 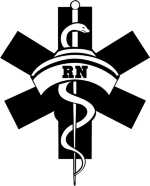 During these years I was able to fine tuned nursing skills through the implementation of the nursing process. Nancy is a Registered Nurse with over 35 years experience, with the last 15 being spent at JFK. I had the privilege of working the same shift as Nancy, who eventually took me under her wings, offering her support when needed. Her years of experience working ICU, ER, and Tele., qualifies her as being able to provide a professional evaluation to my practices as a Registered Nurse and my application to the nursing process. Mercedes was a Nursing Supervisor for day shift at Oasis. I would give report to her in the morning, and relay any other vital information that may be needed. She would be able to evaluate my performance based on my completing all responsibilities required of me with running a unit, and its staff, and assuring individual treatments for our clients had been met. Steve is the House Supervisor for JFK. Over the years he has become familiar with the high level of care that I provide to my patients based on my nursing practices, and bedside nursing. He is available to provide additional information and evaluation as to my practices as a Registered Nurse. The ability to communicate the needs of the unit to Dr. Bassanelli, then being able to meet these needs, was a key responsibility as charge nurse. Dr. Bassanelli would be able to provide further information on how I met and exceded all duties required of me. TO BECOME A VALUABLE MEMBER TO YOUR NURSING STAFF. I bring the experience that comes with 20+ years working in the health care industry. I have had the opportunity to care for not only medical needs as seen from trauma, disease and illness, but for those who suffer from disorders affecting ones mental health as well. By recongnizing the early warning signs which may affect either the physical or mental health needs of the client, and through the implementation of the nursing process, allows me to provide nursing services at its highest standard. The past couple of years I was made to take a close look on what it means to be a nurse. Somewhere, somehow, I forgot the most basic of rules; "IF IT WASNT CHARTED, IT WASNT DONE". I somehow began to minimize the importance of charting, focusing more on the bedside nursing and the direct services I provided. It wasnt until an investigator who was auditing charts on another matter, that he came across what he believed to be inconsistencies in my charting, years after I had left the facility. Though these have all been resolved, I continue to take steps to assure my charting, or the lack of it, will never be an issue again. The embarasment this has caused my family and I are one thing, but to know my practices in charting could have lead to patient injury, will be a constant reminder whenever making any entry of record. By taking ownership to the problem, and by not making excuses, was by far the hardest for me to do. No healthcare provider wants to admit that his or her actions could of compromised patient safety. It wasnt until i attempted to read my own charts did I realize just how bad it was. I am greatful that my charting never lead to any patient injury and I was made aware that a serious deficiency existed. With the support from the BRN and that of my family, I have made the changes and taken the steps to move forward, with assurance this will never be an issue for me again.